Some of the best memories are formed around the table, with friends and family. The quality of the meal is a vitally important factor to those memories, and you’re going to find unforgettable dining spots around every corner in the Palmetto State. For the best barbecue, authentic Italian, and unique dining experiences you won’t find anywhere else, try out any of these 15 fantastic restaurants in South Carolina. This could possibly be the best barbecue in South Carolina. Sweatman’s might not look like much on the outside, but the simmering flavors inside will have you making a special trip to off-the-beaten-path Holly Hill, South Carolina for another taste. Only open Fridays and Saturdays, you might want to order extra to sate those weekday cravings—it tastes so good you’ll be glad you did. You’ll find plenty more than pizza on this make-everyone-happy menu. 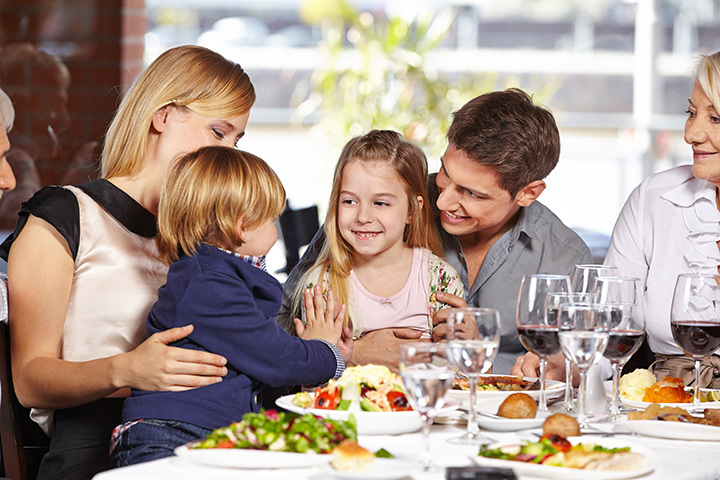 Subs, calzones, pasta, and seafood are dished out daily in a family-friendly atmosphere. It’s definitely a local favorite, but travelers from surrounding areas are known to make a trip to Mig’s a top priority when they’re in the area. Find fun times and great food at this high-altitude eatery. Flight Deck Restaurant’s aviation theme keeps your appetite grounded while your amusement takes to the skies. Wings (of course), burgers, Italian dishes and other specialties serve as your in-flight fare. And when you’re done, be sure to soar over to the kid’s arcade, or enjoy live music on the patio. While you won’t find Deep Purple singing their catchy tune on the patio, you will find plenty of amazing deliciousness in a rustically pleasant atmosphere. Known for their barbecue and homemade sauces, Smoke on the Water takes great pride to bring upscale ambiance that goes beyond your typical barbecue diner. Portion sizes are sure to fill, so make sure you come hungry. Old world-style ambiance meets authentic Italian cuisine to create a fine culinary experience. Serving up fresh seafood, pasta, steaks, pizza, and more, you have your choice of dining indoors or alfresco. It’s fine dining, Southern style. Begin with a savory starter, like smoked confit duck with rosemary demi and chipotle mascarpone, then tantalize your taste buds with unique flavors like bacon wrapped quail or black truffle ravioli. Their extensive, delicately curated wine list makes the perfect companion to any of their flavorful offerings. It’s no wonder Rioz Brazilian Steakhouse has been voted Best Restaurant in Myrtle Beach year after year. Unique Brazilian flavors offer more than 15 different cuts of carved meats, served table-side. They also feature a seafood and sushi-laden salad bar, as well as plenty of sides to complement your meal. It’s a truly dining unique experience you simply have to taste for yourself. Oh, and no worries if you can’t make it to the coast—they have another location in Columbia. Dinner with a view? Yes, please! Panini’s on the Waterfront combines old world charm with new world cuisine, wrapped up in views of Beaufort’s historical district and waterfront. Formerly the site of the Bank of Beaufort back in the 1920s, and later home to the Breeze Movie Theatre in the 1940s, its historical architecture adds rich ambiance prime for a fun dining experience. Fresh local seafood, pasta, stone-baked pizza, and panini sandwiches (naturally) compose the tasty menu, along with a full bar. There’s no better way to pay tribute to your former furry family member than by posting their picture alongside thousands of others in doggy heaven before diving in to a delicious dinner. But even if you don’t have a picture of a dog who’s passed away, you can still enjoy fresh seafood, steam pots, barbecue, tacos, and the typical offering of appetizers. Belly up to one of three bars for happy hour specials, TV entertainment, and some of the best live music on the coast. If you’ve ever formed pre-conceptions about true Southern cuisine and hospitality, Hominy Grill doesn’t disappoint. Fried green tomatoes, fried chicken and gravy biscuits, barbecue chicken, and other Southern staples make up a delectable offering that won’t let you leave hungry. They even offer some of their special recipes on their website. Though found in a small town, Hamptons is on par with the likes of larger market fare. Menus change with the seasons, depending on what their farmer partners can deliver. They dish out lunch Tuesday through Saturday, and offer fine dining dinner service Thursday through Saturday (though you can catch a casual evening meal on Wednesdays). Make sure you stop by the on-site bakery, where chefs prepare fresh artisan breads and pastries daily. For truly local flair, The Farmer’s Table curates the freshest flavors of the area in their authentic farm-to-table eatery. Local eggs, hydroponically-grown lettuce, and fresh baked bread from local bakeries are just a few of the treats that await your taste buds. They also offer plenty of low-carb and gluten-free options to satisfy special diets. It’s not quite what you’d expect in small-town Easley, but Bleu Voodoo is the French Quarter photocopy right here in the Upstate. They’ve taken common staples and given them a savory makeover to provide a unique culinary experience. Steaks, burgers, fish, and the ever-popular Shrimp & Grits are just a few of the offerings waiting to sate your appetite. If you want to feel like you’re in the South, make your way to Julia Belle’s Restaurant. Yes, it looks just like a barn. And yes, you’ll find authentic Southern cuisine that couldn’t possibly get any more Southern… or more delicious. Items like low country boil, pot roast, fried chicken, and fried pork chops aren’t just good for your appetite—they’re comfort food at its finest.